Communication is a vital part when doing in-home care. A relationship has to be established between the patient and the caregiver to guarantee a smooth-sailing interaction. It is the only way treatment can be requested and processed. Communication comes in many forms. It can be verbal and non-verbal. A simple nod of the head, hand shake, or any facial expression can communicate a lot of things to the patient. Caregivers can also communicate with the help of documentation. Progress, observations, and note-worthy messages are always written and documented for safe keeping. It will also serve as a way to let other caregivers and members of the healthcare team track information about the patient’s condition. Home care is round-the-clock and seven days a week. Keeping a single caregiver for the rest of the schedule can cause burnout. A clear and specific schedule of care can give caregivers a breather from the task. Some members of the family also want to be involved in the care of their loved ones. This will serve as health education, which promotes independence and awareness. Post a schedule of care in obvious areas to make everyone, including members of the family, aware. This will let them know whom to ask and contact in every day and night. Home Healthcare requires a lot of techniques and processes. This is where new caregivers learn how to improvise and strategize. A home care setting should be as effective as institutionalized care, and for that to happen, caregivers play a very huge role. Continuous education and training for new ideas should be available to all members of the allied healthcare team. This is the only way how they can be updated with the new trends in home care. Engaging in new ideas will also help in formulating care techniques that are very applicable at home. An effective caregiver seeks to know more to gain autonomy and confidence when doing home care. 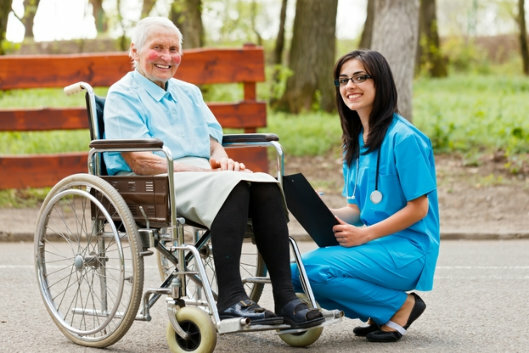 Total Assurance Home Healthcare provides reliable Home Healthcare Services in Connecticut. We have a very keen process in screening our caregivers to make sure that we are only hiring the most experienced and skilled professionals. We aide your loved ones at home. Our skilled caregivers help them recover and regain strength faster. They enjoy the comfort brought about by home care while we guarantee that treatment and interventions are implemented. Total Assurance Home Healthcare also provides respite services in Danbury, Connecticut. This is to help alleviate the pressure on the regular caregiver’s schedule. How else can we make in-home care effective? Please share your suggestions in the comments section. This entry was posted in In-Home Care and tagged caregiver, Home care, Home Healthcare, patient, respite services, smooth-sailing interaction. Bookmark the permalink.